With the pharmaceutical industry being extremely competitive, it's not always out of the question to have unscrupulous moves at play in unethically obtaining data. After all, when credit is given for creating a new pharmaceutical drug or a cure for a disease, the stakes are high. While most companies are ethical, you can still become a general victim of theft. Without proper security in place, a thief could break in and steal your data to sell for profit. Word could get out about your scientific study when you want complete confidentiality on your project. It's all the more reason you should outsource to keep your confidentiality intact. As we've seen with even our own government, leaks are impossible to control in a time when we depend on digital technology. 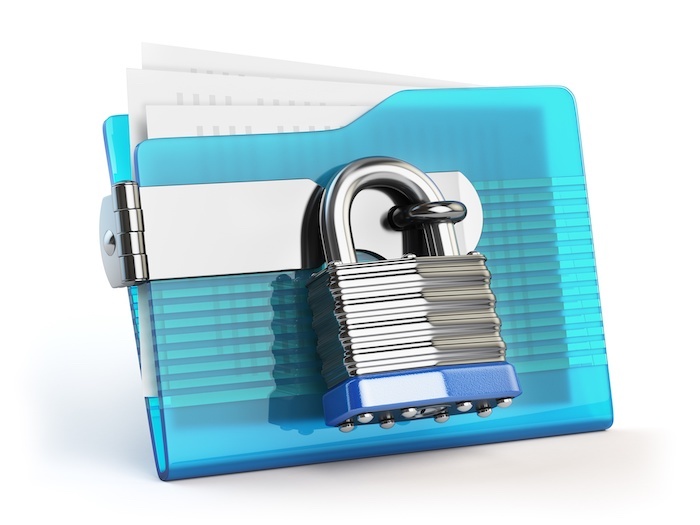 With the ability to extract information too easily from digital sources, you may not want to place all your data there. Many labs prefer to store their original materials in a secure place to assure a hacker doesn't infiltrate data that needs protection. The best way to do this is to not rely on your own lab. So many things can occur in your lab that go beyond mere theft. Natural disasters or unethical employees can compromise private scientific data. What Would Happen if Your Data Became Stolen? The worst case is when an employee in your lab steals your materials to sell to a competitor. Don't think this couldn't happen, because valuable scientific data is a hot commodity. A confidential study you're doing could end up in the wrong hands and end up revealing all your study results. Another lab could acquire this and take the credit for all your work. In other cases, a natural disaster could shut your lab down, leading to your security systems being inoperable. It could lead to vulnerabilities and bring looters during a disaster scenario. Without alarms or motion detectors, you wouldn't know anything happened if you leave the premises. Since your budget can't pay for 24/7 monitoring, it's all the more important to outsource your study materials to another location. Can an Outsourced Lab Keep Your Materials Confidential? Storing all your materials in an outsourced lab is a smart move, though it requires some vetting before you sign a contract. First, you'll want to know what kind of security systems they have in place. Do they have reliable backup so your materials stay continually safe in case the power goes out? What about the freezers and refrigeration units they have on hand? Are they reliable brand names with a generator to keep them going during power outages? Most importantly, what can they do to keep client confidentiality so they don't accidentally leak your critical scientific details? The best labs assure quality security so they won't inadvertently compromise your data. Thanks to their budget allowing 24/7 monitoring, it reduces chances your materials become hacked or physically stolen. Staff in the lab have a strong commitment to keeping materials safe through physical storage. This includes reliable vaults for storing documentation and reliable freezers for all your specimens. Because these materials of yours might lead to a cure for disease or new drug, your third-party lab needs to respect your privacy so you always keep your studies under wraps. At HSRL, we're a lab assuring client confidentiality through our superior storage systems. Contact us to learn about our comprehensive lab services and the methods we use to keep your study materials secret until you reveal them.